The first reunion of DuBois High School reunion was held on Labor Day weekend, September 1-3, 1972. That holiday weekend continues to be the DuBois reunion weekend. It was held every three years until 1983 when it was changed to every two years, a practice which continues today. The exception was a change after 2003 to 2006 to allow us to celebrate the 100th anniversary of the planned DuBois High school. Former principal, Thomas E. Ashe, Jr. the tall, smiling, friendly educator served as the general chairman of the DuBois High School Alumni Association until his death in 1985. 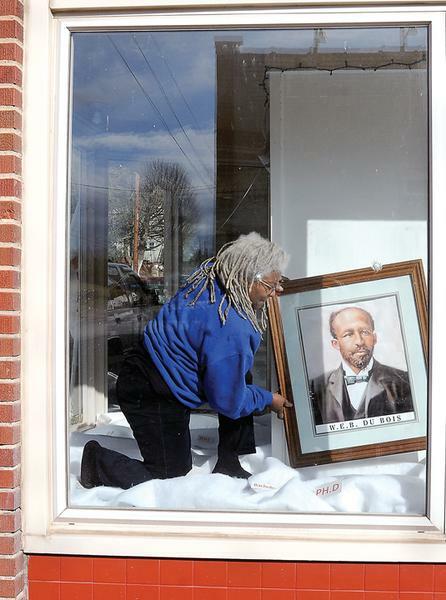 He was known as the “Father of the DuBois Reunions”. He passed away 2 months AFTER the 1985 reunion. Former teachers, parents and community members served on the committee for many years, usually until death, illness or other conditions required them to leave their position. 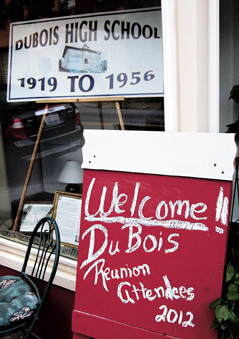 The DuBois reunions never were limited to only DuBois graduates. Often out-of-state attendees would be accompanied by their friends and younger children. Everyone had such a good time that whether or not one even attended DuBois High, let alone graduated, was never an issue. It was like a big family reunion! Graduates have attended from all across the US and Europe. This definitely was a not-to-be missed event. There are a number of attendees who have not missed one reunion! That discussion is a big source of pride. Leroy Lewis, 1947 graduate proudly stated last year in 2012, he had not missed one reunion. His great-grandson was the youngest attendee in 1997. He was not a year old. The reunion was always too big to be held in Fayette County. There was not a hotel or entertainment facility that could accommodate the large group. So, reluctantly, we had to choose Beckley, the home of DuBois’ biggest rival, Stratton High, because of the hotels and the Raleigh County Armory. The reunion continues to be held in Beckley even though the number of attendees has dwindled over the past forty years. Considering the first DuBois High reunion was held in 1972 and the last DuBois graduating class was in 1956, this is a remarkable accomplishment. It speaks very highly of the love and esteem felt for DuBois. The next reunion will be in 2014 and though smaller than in earlier days, likely the traditions of a three day event with live music, bowling, golfing, bingo, history, food and memories will continue. Join us. You’ll have fun and so many great memories of the event.